As of this month, there have been 27,992 crashes involving commercial vehicles in Florida. Nearly a fifth of those—5,575—occurred in the Miami-Dade area. Because of their size, commercial truck accidents can be very serious, and can cause injuries that range in severity, and that can result in broken bones, concussions, or even death. To prevent such catastrophic injuries, truckers in the state must adhere to the Federal Motor Carrier Administration regulations, as well as state specific regulations, which can be found in Florida Statutes 316.302 and 316.70. These statutes clearly state that all owners and operators of commercial vehicles are subject to the rules set forth in 49 C.F.R., Section 382, which strictly prohibits the on-duty and pre-duty use of controlled substances, including drugs and alcohol. 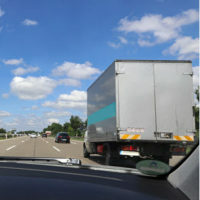 According to the administration, which engaged in a causation study of truck accidents nationwide, one percent of truck drivers were found to be intoxicated by alcohol at the time of an accident, two percent were intoxicated by illegal drugs, 17 percent were impaired by over-the-counter drugs, and 26 percent of truck accidents involved drivers on prescription medications. Impaired driving of any kind is unacceptable, but when a driver is operating a vehicle that weighs more than 80,000 pounds, it becomes pure negligence. If you or a loved one was injured in a truck accident, and if the driver was impaired at the time of the accident, reach out the Miami truck accident attorneys at Spencer Morgan Law to learn more about your legal options. If you were injured in a truck accident caused by an impaired truck driver, you may be at a loss as to what to do. From serious injuries to lost work, the repercussions can be devastating and overwhelming. If you are no state to be fighting a legal battle—or even if you are, but you are unfamiliar with personal injury law in Florida—let a knowledgeable and experienced attorney fight on your behalf. The attorneys at Spencer Morgan Law will work closely with local law enforcement to determine accident causation. We will also employ the help of industry experts who can help examine the circumstances surrounding the claim and discover the evidence necessary to establish liability. Fortunately, in most drunk driving cases, causation is almost always clear and easy to establish, as the truck driver will be administered a drug and alcohol test. Typically, the results will be included in the police report, which we will obtain as evidence to support your claim. While it may be easy to prove liability in a drunk driving truck accident, it may not be so easy to obtain a fair settlement from the trucking company’s insurance provider. Insurance companies often use shady tactics to avoid paying out a settlement, or to minimize the amount of compensation a plaintiff receives. To ensure the best possible outcome to your truck accident case, work with a Miami truck accident attorney who is familiar with personal injury law and insurers’ tactics, and who can use that knowledge to your advantage. If you or a loved one was injured in a truck accident in Miami, work with a knowledgeable personal injury lawyer from the very beginning. The sooner you hire a lawyer after your accident, the less complicated your case will be. To schedule a free consultation with an experienced lawyer today, call Spencer Morgan Law at 305-423-3800 now.